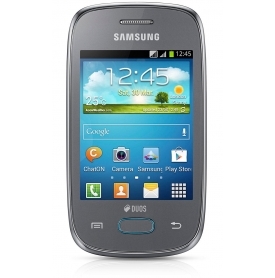 Buy Samsung GALAXY Pocket Neo Duos S5312 at lowest price of Rs. 5,299 from Flipkart. Samsung GALAXY Pocket Neo Duos S5312 - Buy Samsung GALAXY Pocket Neo Duos S5312 phone at a lowest price of Rs. 5299 in India on April 22, 2019. Compare and Buy Samsung GALAXY Pocket Neo Duos S5312 at cheapest price from online stores in India. - 2.7 out of 5 based on 15 user reviews. Samsung GALAXY Pocket Neo Duos S5312 Price List List of online stores in India with price, shipping time and availability information where Samsung GALAXY Pocket Neo Duos S5312 is listed. Price of Samsung GALAXY Pocket Neo Duos S5312 in the above table are in Indian Rupees. The Samsung GALAXY Pocket Neo Duos S5312 is available at . The lowest price of Samsung GALAXY Pocket Neo Duos S5312 is Rs. 5,299 at Flipkart.